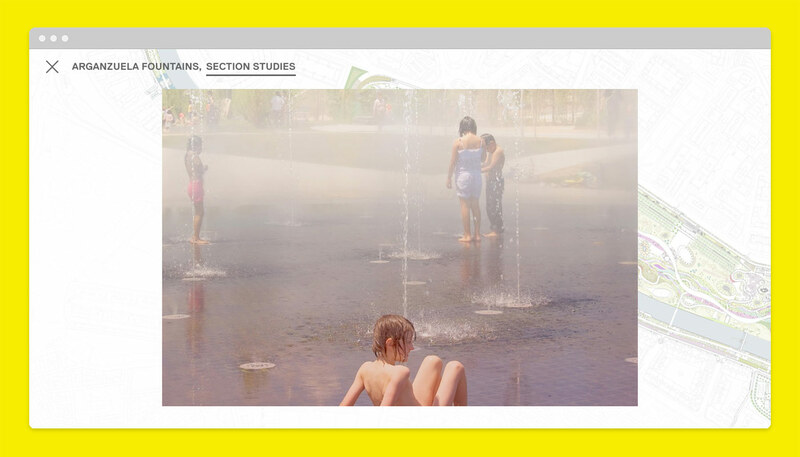 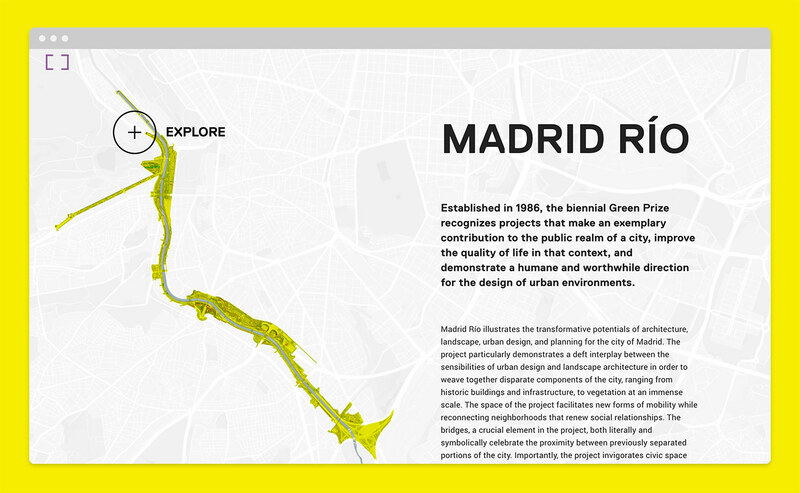 Featuring Madrid Rio—a new linear park in Madrid—the 2016 online exhibition strives to replicate the contemplative experience of sitting or wandering through a park rather than presenting a straightforward gallery of the project which has been well-documented elsewhere on the web. 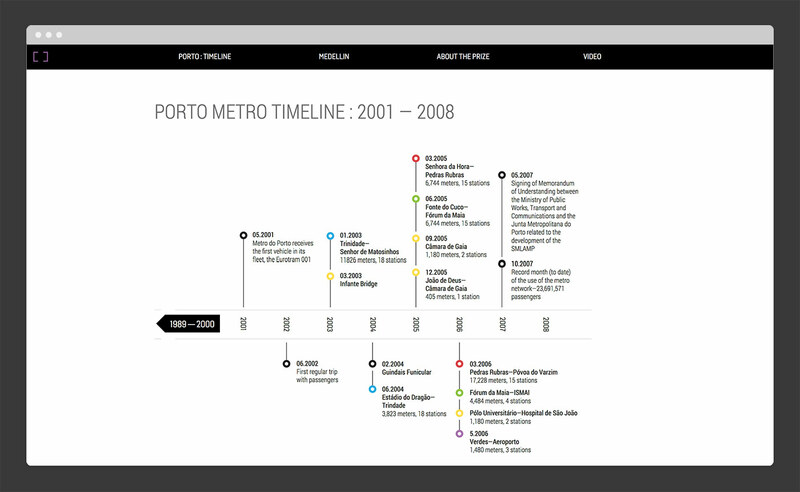 The 2013 prize honored transportation systems in Porto and Medellin, highlighting the transformations they brought to neighborhoods along each line. 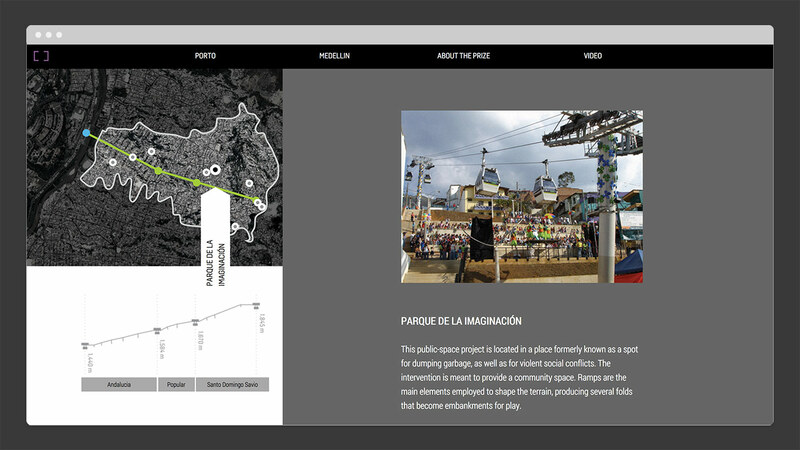 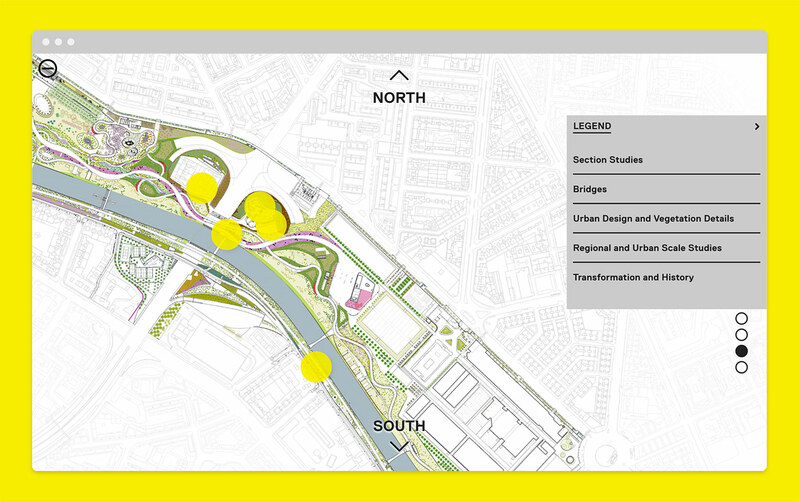 The website utilizes interactive maps, graphics and photography to illustrate the diverse interventions. 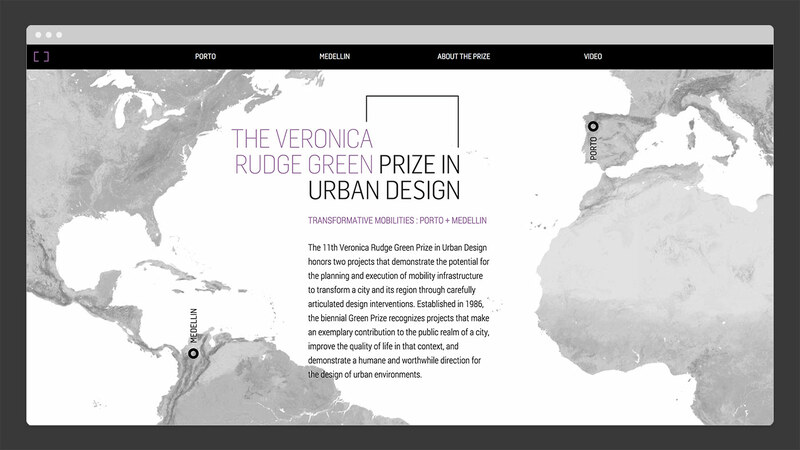 The Veronica Rudge Green Prize in Urban Design is awarded by the Harvard Graduate School of Design to projects that improve the quality of life in a city through thoughtful design intervention. 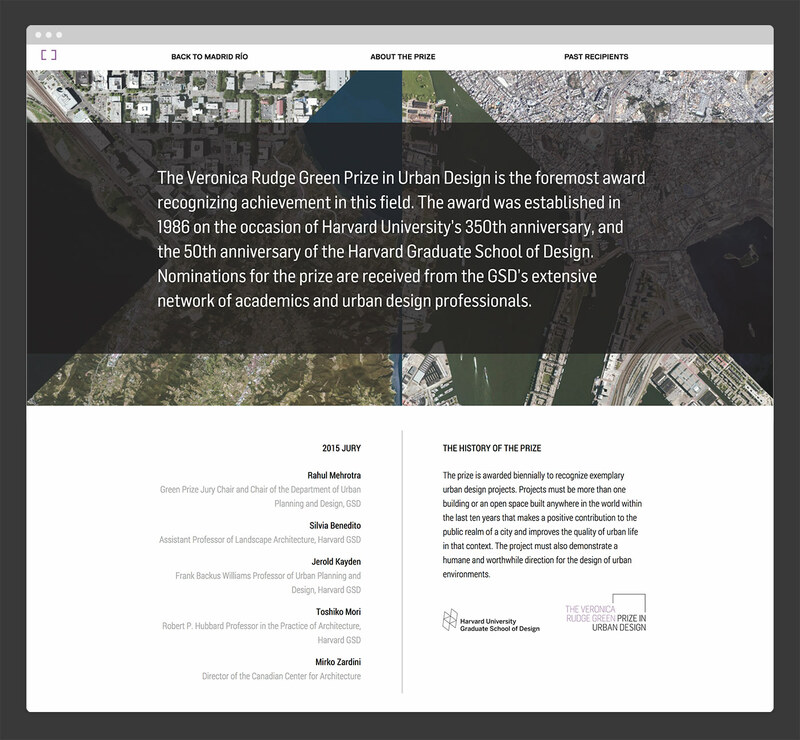 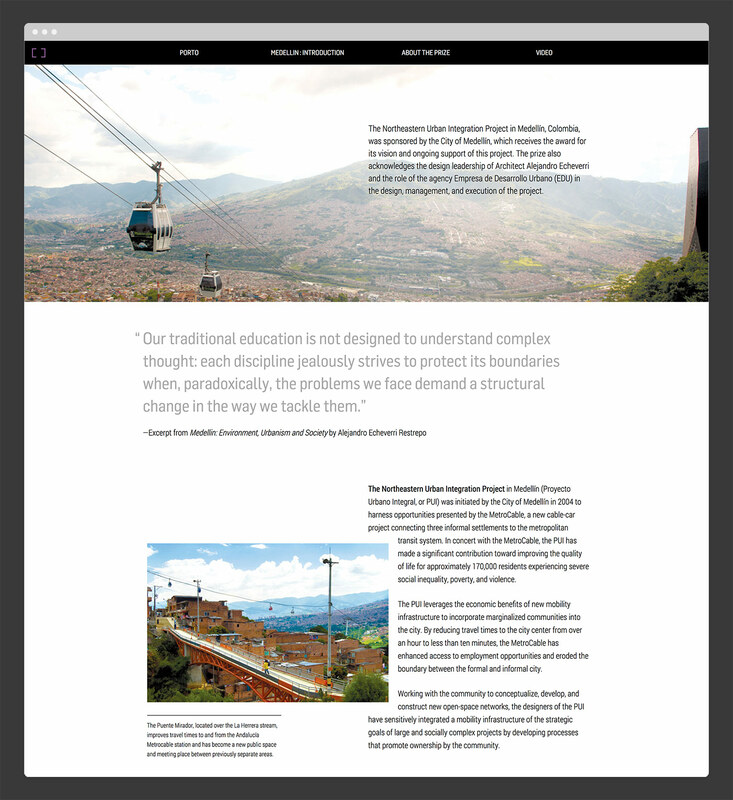 We were tasked with developing a website that could serve as an engaging online exhibition and archive of recipients.